I love saving money. It is built into my genes. It is who I am. Unless you are independently wealthy, if you want to travel MORE together as a family, you are going to have to find some ways to save money. You can read our Family Travel Budget Tips, which we use to travel more on less. But, you might also want to do some travel hacking where you can accumulate points to travel. This strategy works best in the USA, but it also works in other countries as well. While we use points to travel, we don’t strategically travel hack, although it is something we want to get more into. Read on to learn more about how to strategically use points to book award travel. 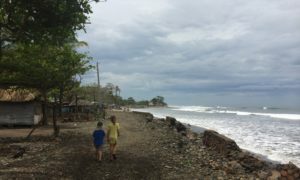 Did you read our first case study about becoming a digital nomad family? 1.2 2. What exactly is travel hacking? How did you get started with it? 1.3 3. What strategies do you use to earn and redeem miles for travel? 1.4 4. What is the best trip you have done with points? 1.5 5. Do you have any advice for families wanting to get started travel hacking and earning miles? 1.6 6. This sounds too good to be true. Is there anything families should be careful about? 1.7 7. What websites or tools do you recommend families check out for more information travel hacking? 1.8 8. What’s the next trip you are planning? Does it involve travel hacking? 2.0.1 Enjoyed Reading this Post? SIGN UP for more. 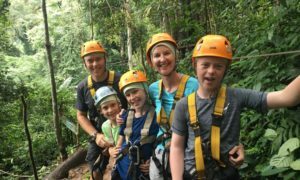 Today on our Travel MORE Cast Study series we have Leah from Yoder Toter Blog to tell us a little bit more about how her family uses travel hacking to travel the world. Leah has lots of great recommendation on how to get started and I am sure you will be inspired by the trips they have taken with points. Leah is a homeschooling mom to three, who geeks out on budgeting, books, and buying used. Their blog aims to encourage 30-something moms (and dads) that life doesn’t end once the kids come along. That with intentional days & money-saving decisions, parents can explore the world with their kids – and keep their sanity. My husband, Brian, and I were high school sweethearts and have been married for 13 years! We now travel with our three young children, Jackson, Olen, and Cecilia. My love for travel was birthed when I was a Rotary exchange student to Australia in 2000. Going halfway around the world at 16 years of age was just the way to be bitten by the travel bug! 2. What exactly is travel hacking? How did you get started with it? Travel Hacking is using credit card sign-up bonuses and points to save big money on travel. We got started back in 2014 when my mom saw a feature on Good Morning America about a guy from our hometown who was flying for free using credit card points. She sent me the link to the post and within a few days I contacted him via email to ask if he could help us “hack” some flights to Australia. The rest is history. 3. What strategies do you use to earn and redeem miles for travel? Our main strategy has been to sign-up for the cards that offer us the best deal on the trips we want to take. Because my husband is self-employed, and we’re feeding a family of 5, it’s easy for us to hit the minimum spend required by most cards. (Usually $2-3,000 within 3 months). For instance, I just applied for two Southwest Airlines cards. I know that after meeting the minimum spend on both, I will have 104,000 miles, which is great unto itself. BUT, once you accumulate 110,000 miles in a calendar year, Southwest Airlines will issue you the Companion Pass. The Companion pass allows one person (i.e. my spouse, child, mother) to fly for free, too. Right now we are completely focused on hitting the 110k points, and after we do that, we’ll look to our next travel goal — maybe a dreamy hotel in a city that Southwest airlines frequents. 4. What is the best trip you have done with points? That’s hard to say! We’ve been to Australia, New Orleans and Florida (twice) with the kids. We also took a romantic trip to the Canadian Rockies without the kids. Visiting Australia, we saved approximately $5000 by using points for flights from Hobart, Tasmania to the USA (just had to pay the taxes) and 2 free nights at the Sydney Marriott. 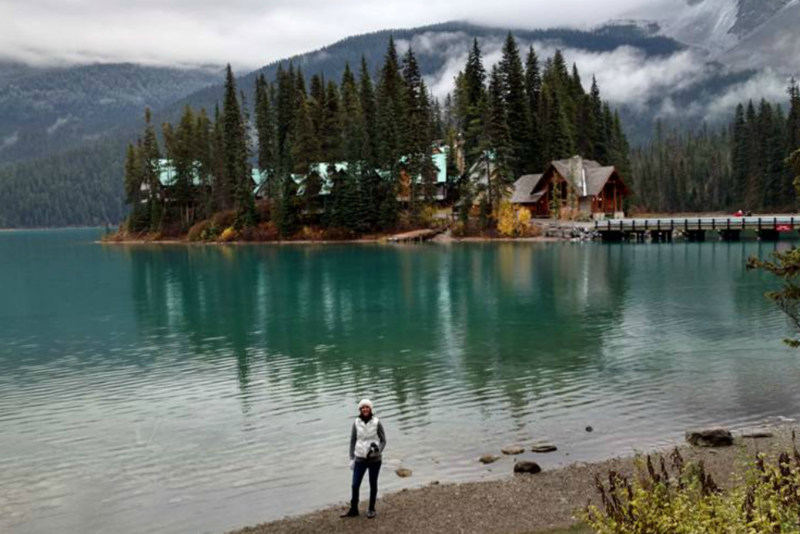 However, going to Lake Louise, Canada was a dream of mine for a long time, and staying at the Fairmont Chateau Lake Louise and Emerald Lake Lodge for FREE was the icing on the cake. This was a idyllic trip I won’t soon forget, especially since it cost us pennies on the dollar! 5. Do you have any advice for families wanting to get started travel hacking and earning miles? With effective travel hacking, you must decide where you want to go and give yourself time to earn the points that will take you there. It’s not helpful to haphazardly sign up for a bunch of credit cards because you think they have great sign-up bonuses. When we wanted to travel to Australia, we began earning miles in early 2014 for a trip that would take place in early 2016. It took us over a year to accumulate the miles and then we booked as soon as the space opened. I knew I wanted to fly on Qantas airlines, so we began earning American Airlines miles through their business and personal cards and also through their partnership with Starwood. My advice is to sit down with your partner or family and make a plan for a dream destination. Figure out how many points you would need to get there and then start using the cards that will help you achieve your goal. Follow sites such a 10xtravel.com to learn more about the effects on your credit. Also, never do this hobby if you can’t pay your bill every month! 6. This sounds too good to be true. Is there anything families should be careful about? This is meant to be saving you money, not costing you more. Never go into credit card debt in order to travel hack! 7. What websites or tools do you recommend families check out for more information travel hacking? 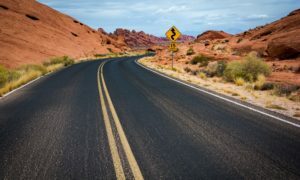 There are numerous travel hacking blogs I like to follow- 10x travel (their facebook group is fantastic), Million Mile Secrets and Mommy Points are just a few. 8. What’s the next trip you are planning? Does it involve travel hacking? Yes! We are going to Ireland in May! I found a cheap flight from our home airport to Dublin, Ireland for $500 each. Using 200,000 Chase Ultimate Reward points, I purchased five tickets completely for FREE. When booking through the Chase travel portal, they give you 25% more value for your points- therefore 200,000 points was worth $2500. Because Ireland is mostly small hotels or B&Bs, we aren’t using travel hacking for accommodation, just staying at affordable Airbnbs. Thanks to Leah for sharing her expertise about travel hacking and using points to travel MORE. We hope it has inspired you and shown you a way that you can use to travel more. Check out more of Leah’s family travels on Yoder Toter Blog. You can also follow them on Facebook, Twitter, Instagram and Pinterest. Are you looking for a thorough resource to get started travel hacking? Check out Nomadic Matt’s Ultimate Guide to Travel Hacking e-book. Case Study 3 – the Family Freestylers rent out their house on Airbnb and spend their winters in the Alps. Do you travel hack? Do you have any tips you can pass along? Great tips! My husband has started traveling for work a lot, so we’ve been able to save our travel points up for some awesome things! It’s fun to use them to splurge a little, like with a night at the Ritz Carlton. Yes, so nice to splurge like that! Paul used to travel a lot for work too and we used to have so many points…I miss those days! I’m a big fan of using frequent flyer points, I even get nervous if I have too many in my account and I love to always have a trip booked! Too many…that is a good problem to have! It is such a great feeling to book a free flight! We wished we had of got on the travel hacking train earlier! Such great tips by Leah, as using your points to travel can save you a great deal of money. Yes, I wish we had gotten into it earlier too! I am about to book 5 plane tickets on points though, which is a pretty great feeling! Great tips here. I know this is mainly applicable to the USA but it’s a reminder that there are travel miles to be collected in the UK too! Thanks Nancy. It may not be as lucrative outside the USA, but definitely still worth doing! Now I need to get myself more focused on collecting points!